Tomorrow should be my appointment at Mayo Clinic in Rochester, Minnesota. But, we didn't go because we are both so sick with a virus. We rescheduled it for February 26th. We should both be feelig better by then...hopefully!! Yesterday i went back to the doctor to look at my leg. I was on my 2nd round of anti-biotics annnnnd the leg bagan swelling and turning red and hot to the touch. My regular doctor was on vacation but I have found another doctor in this group of doctors that I have seen before so I made a appointment with him. He seemed concerned that the leg hasn't really healed up yet. He sent me for another venus dopplar ultrasound to make sure they didn't miss a blood clot the first time around. Thanksfully that turned out negative so that means I'm still dealing with the cellulitis. I have been really faithful with taking the antibiotic so I am really surprised that this isn't clearing up. I go back to my regular doctor on Monday for a recheck on my leg. He hinted that I will have to be hospitalized and hooked up to an IV with anti-biotics. I hope I don't have to but if I do I understand that cellulitis is serious and it can't be ignored. Our daughter, Katie took our grandson, Tyler, to get his ear checked because his ear had some drainage coming out of it. Tyler is very sensitive to any pain so it's hard to know sometimes how serious or how badly he is really hurting. Like today when I talked to him on the phone he did a sommersault while talking to me and hurt his arm. He was just sure he broke the bone in his arm and carried on and on. I finally asked him if he would like me to call his Mommy and have her call him. he liked that idea. So, all that to say I'm so glad Katie took his complaints seriously because he had a bursted ear drum. Poor little guy...that has to really hurt. Wayne and I are still sick and coughing and I run a fever every afternoon I run a fever. This is a really bad virus. I don't think I can ever remember Wayne stayng home from this work so long. We've both been laying around in our pajamas/nightgown and just trying to rest so we'll feel better. I finally tok a shower yesterday and today Wayne took one. It's a really big deal to take a shower when you feel sick. I told Wayne to let me know if I start to smell...I'll take a shower then:) ha ha!! Not much else new from the "sick house". Although I just scrapped this picture last night it was taken at the hospital when Kaleb was born in 2005. Rhebeca really has a special place in her heart for her baby brother. He even calls her Mama at times. The next 3 layouts were taken at Rhebeca's 7th birthday party. She is 8 now but I am still playing catch up with my scrapbooking. I kept up fine when there were 2 grandchildren but now that we have 6 and soon 7 I will have a real challenge to keep up. That's one reason I started the blog...so I can look back and remember the stories behind the pictures. I swelled up again really badly on Monday of this week. So, I made an appointment with Dr. Stillson, our family doctor. He told me this visit that he has tried everything he knows to try for the swelling. He strongly recommends that I made a visit to Mayo Clinic. I went to the scheduler in the office and she said it will probalby be several months before they would have an opening. She was shocked...and so was I!!... that they had an opening on February 1st. We have been busy making reservations and trying to tie up loose ends here so we can leave this week. Wayne and I both have a terrible virus. I have had it a week now and Wayne is just a few days behind me. With it we have fever, chills, sweats, coughing, congeston and you name it we've got it. We are just hoping that we feel good enough to leave Tuesday morning. We are going to make the trip on Tuesday and take 2 days of driving to get there. That will make it about 4 hours a day of travel and that's about all I can handle. I want to be feeling well enough that I can go to the appointments and be able to listen to what the doctor is saying. Tyler (Steve and Katie's oldest/6 YO) had to go to the emergency room about an hour ago. He had drainage coming from his ear and a pretty high fever. |The doctor in the emergency room said he had a busted ear drum. It will repair itself in the next 9 weeks. He kept complaining that his canker sores were hurting. Years ago when I took our kids to the pediatrician in South Bend he told me that children do not know where pain is coming from. They may point to their tummy when their ears hurt. I would appreciate your prayers that the doctors at Mayo Clinic will be able to pinpoint the source of the swelling in my feet and legs. It is really scary when your doctor tells you he's done all he can do for you. Although, thank goodness, he added that it does not mean he doesn't want to treat me...he just doesn't know what else he can do for me as far as that swelling in my feet and legs. Katherine McPhees album will st on the store shelves Tuesday, January 30th. I really liked her voice and will probably buy her CD. I do not care for the way they are marketing her but I don't have to see that when I'm listening to her music. Tonight there is an "Idol" special on Larry King/CNN at 9:00. Some of the idols he will be interviewing are Bucky Covington (last season's country singer), Ace Young (also from last year), Kimberly Caldwell (Season 2), William Hung. Before I get to my life today I thought I 'd post a couple of interesting things about American Idol. Below is the pair of boys that became friends while waiting in line for a chance before the judges in Seattle. I think Simon made some people very angry when he compared the boy on the left to a "bush monkey" . Wayne and I both thought that was going a bit too far just for a laugh. You could tell it bothered the boy with the way he kept talking about what Simon said. The boy on the right went through school in special education so it was a huge step for him to try out for something like this. I think they both genuinely thought that had a good chance of going to Hollywood. I just read that they got to be on Jimmy Kimmel's (late night) show. I wish I had knwn that...it would have been fun to watch. Does this guy look familiar to you? 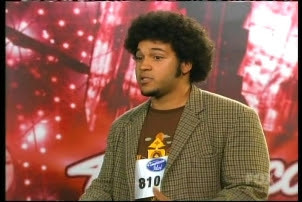 He was one of the contestants that made the cut for going to Hollywood from Seattle on American Idol. I can remember him having a very nice voice. Well, this show is so popular that it's become about as eventful as a presidential election. I say that because someone all ready dug up some dirt on this guy. He was arrested on a drunk driving charge in 2004 and then completed an alcohol diversion program and a $680 fine and it was wiped it off of his record. Then in December 2005 he was arrested again for a hit and run. Thomas says both incidents are the results of being young and dumb...we've all been through our times of being young and dumb. Reminds me of what Jesus said to the people when they were getting ready to stone a woman to death for adultry...(Becky's paraphrase) Anyone without sin can cast the first stone to which they all put their stones down and let the woman go. News on to Becky's (me) medical saga....I went to the pain doctor Thursday morning for a pump refill and he wanted to put dye through the catheter that leads from the pump to the intrathecal space in the spine. He wanted to do that because he does it to every pump patient periodically and because the pain is so hard to get to get under control. The worst part of the test was laying on this skinny hard table while he did the procedure. I rarely lay on my back because it causes so much pain and usually starts muscle spasms. I appreciate that their staff and the doctor are very careful to keep everything sterile. Since the catheter leads directly to the spinal area they don't want to take any chances of an infection. At first I didn't think I was going to be able to lay there for 20 minutes but I tried to keep my mind busy with happy thoughts...things like holding Isabella when she is born in April...that will be so exciting and a beautiful beach and it worked pretty well for me this time. The good news was that the dye looked perfect...no leaks and it was coming out right where it's supposed to come out in the intrathecal space in my spine. That is really good news and bad news. It's bad news because if it had been a leak that would have been why my pain is so intense. Good news is I don't have to have surgery to have it implanted agian. The doctor increased my medication in the pump from 9 mgs a day to 10 mgs a day. He said next pump refill they will add bipuvicaine. Bipuvicaine is a local anesthetic that works similar to novacaine. They gave me a bolus of 9 mgs of dilaudid in my pump to counteract the dye put in the catheter. A bolus is just a flow of exra medication in the pump to provide me with almost immediate relief. If the dilaudid was interrupted I am pretty sure I would be in serious withdrawals. The only problem is that the extra medicine made me SO sleepy. I slept all the way home and all night long. I sure felt good when I woke up Friday morning with added sleep and a little extra pain medicine in the pump. Yesterday afternoon it just hit me all of a sudden that I was getting sick. I have a cold or virus or something like that. Lots of chest congestion, cough, runny nose, high fever and major body aches. Wayne is staying away from me like I have the plague or something. He has a big week this week as far as work goes and doesn't want to be sick for it. Well, the swelling is back this today and my feet and legs are as big as ever At times I think the swelling is from lack of movement because the fluid isn't getting pumped through . There could be a little truth to that but I don't think it's the main reason. There is just too much swelling for it to be that simple. I am still going to try to swim at the Holm Clinic when open their therapy pool and I think it might help some and even some help is better than none at all. There are certain things that most people do without thinking that are very difficult when you cannot stand more than 2-3 minutes. One of those things for me is to go to the post office to get stamps or mail a box. Yesterday I listed some things for sale on ebay and wanted to see about how much it would cost to ship them so I could put the price with my listing. Anyway, when I was on the United States Post office site I noticed you could buy stamps and have free priority boxes sent to your house. I ordered 10 boxes for priority shipping (for selling on eBay) and 40 stamps. The only thing extra they charged me was $1.00 for shipping. I will get the stamps and boxes in 2-3 days. I was so thrilled to find this and save me having to go to the post office and stand there with intense back pain. Here is where you go to order your stamps. You can even pick out the stamps you want. Since I'm sending out valentines to the kids and grandkids I chose a stamp with a heart on it. You will see a tab towards the top of the page that says "Buy Stamps & Shop." I'm still not real sure that I should use so many flowers on a boys layout but I love flowers and love the way they look in scrapbooking. I'll have to try using stars or something like that...maybe it would look a little more masculine:) Aren't those big beautiful eyes? Tyler is now 6 years old and as bright as those eyes look. I got in a new scrapbooking die cut machine this week. He saw it sitting on my cupboard and that the handle needed to be put on. Without looking at any instructions he put the handle on with a screw and washer and an end cap. It's like he knew exactly how to do it. And then, if that wasn't enough, he put all the pieces in the right place and cut out some of the dies. I was going to have to look at the book to figure out how to do it. There is a base piece that goes on the bottom, then an acrylic piece, then the die, then the paper and then another acrylic piece. He slid it right though and it was perfect the first time. It amazes me to see a child born with all the innate talent. In the title, the part that says "brother" is done with a new font I got for my cricut machine. I got aggressive and sold quite a few things online that I wasn't using...some old sizzix fonts that I probably hadn't used for 3 years and I bought this font and another one with my money. This block font (see how it looks a little like a block?) is a very versatile font. I also did the words in black with the same cartridge. I like using the different fonts in a word to make it look a little more interesting. I went back in to my family doctor today. My right leg is swollen, red and painful to the touch. Right away he said it's either cellulitis or a blood clot. He sent me right to the hospital where I had an ultrasound...some special kind of ultrasound called Venus Doppler I believe. It was amazing that it could pick up the veins in my leg. We live in quite an age where medicine is quite advanced and yet I still can't walk out to my kitchen without my back screaming in pain so bad I have to sit down for a minute. There have been great strides in some areas and others like pain control and the spine still seem archaic in their treatments. The doctor called a couple of minutes ago and said that there is no blood clot and my blood work showed my potassium is low. He said the potassium is at 3.1. I have prescription pills of potassium to take and I hate them...there are like horse pills and I have a hard time getting them swallowed. When I take my pills in the morning and at night I like to pop them all in my mouth at once and get it over with. I tried that with the potassium pills and they got stuck in my throat. When a persons potassium is low it just drains you completely of all energy. Most of the time when I'm walking I feel so weak that I feel like I'll pass out. I am to double the potassium till the end of the week. I also bought bananas and pistachio nuts. 1. Carrie Underwood's CD has just gone quintuple platinum. She has sold more Cd's than any other country artist in the last 6 years. What an amazing accomplishment. Here is Becky's opinion...Carrie's life will never be the same...it has changed probably forever. She can't help but change a little bit ...she won't continue on the "country bumpkin" she was to start with. Will the sweetness we all saw in her leave? Will she become arrogant? If she were my child or grandchild I just don't know if this win and lifestyle would be something I would want for them. 2. Kellie Pickler will be co-hosting "The View" on January 18th and 19th. 3. Katharine McPhee will guest star on the ABC comedy, "Ugly Betty" on Thursday, February 1st. Her single from her new album will be officially released to radio January 16th. 4. Here is one Rhebeca will like!!! Paula Abdul has joined the creative team of "Bratz: The Movie", the first live action feature based on Bratz fashion dolls. Paula will serve as executive producer and play an integral part in music, choreography and fashion. She will also portray one of the film's major characters. 5. One more thing on Kellie Pickler....Starting on April 27th Kellie Pickler will be touring with country music performer, Brad Paisley. There will be more information posted soon on his website. I don't know his site address right off hand but I'm sure you could find it with a google search. I will be leaving in about a half hour for my 3rd treatment for the swelling in my feet and legs. The first treatment didn't seem to make much of a difference although I came home feeling like I'd run a marathon. The doctor called late that afternoon and told me to triple my potassium pills and that Tuesday they would give me some postassium in my IV. I got there Tuesday and the nurse started to inject saline into the IV that they had left in my so they wouldn't have to poke me every day. Well, it hurt something terrible and then when she started to put the lasix in I couldn't stand the pain. At that point she decided to check my IV and see if it looked all right. They hadn't used clear tape so it was covered up. When she took the tape off there was a huge bruise and all around and it was red all around the bruise from who knows what? She said I don't think that IV is in your vein anymore. I felt like being smart aleck and saying...you don't, do you? She really should have checked it before she injected into it but they were extremely busy and she was probably needed 2 places at once. She decided to put another IV in the other hand. Then the lasix went in much better. It still burned a little bit but I know from the past that my veins are hypersensitive. She then hookd me up to the drip of the potassium. It took over 2 hours. I was glad I had some scrapbook magazines in the car. The nurse must have felt bad about the IV thing because she went out of her way for me the rest of the afternoon. She brought me a recliner to sit in , lunch that consisted of a turkey sandwich, crackers, oranges and pop. She really was a very nice nurse that just made a wrong judgement call. I always try to tell myself that we're all human and make mistakes. I felt pretty good afterwards and even ran a couple of errands. Wayne drove but I felt pretty good. I was so excited about the camera that I couldn't get to sleep till about 4:00 am. I'm a little tired today. I scrapbooked and watched the discovery health channel. I will post some of the layouts I did when I get home from my treatment. While searching through the basement for the sewing machine manual I came across some scrapbooking layouts that I'd forgotten about. This is Wayne and me and Alan for his 1st Christmas. It was our 2nd Christmas as a married couple. We have all changed just a little bit! It's fun to look back at these older pictures but I just can't believe how the years have flown by. I will be admitted to the hospital tomorrow. I went to see my general practitioner (doctor) about the swelling on Friday. I have been on every water pill they make and nothing is budging the swelling. The doctor told me that he would have admitted me on Friday but I don't qualify for hospitalization through the insurance company. I still wonder who is doing the diagnostics...the doctor or the insurance companies. They have us right where they want us if we want them to pay. Anyway, he said he can get around that by admitting me through outpatient. I kind of prefer that anyway. I can go there 3 days in a row and sleep at home. There was one bit of good news. My doctor said that many times when a person is swelling and retaining fluid like I am that they start to develop fluid in the lungs and, thank goodness there was no sign of fluid in my lungs. The doctor had me try a very strong water pill and said if it worked I would have to go to the hospital and if it didn't I go...Well, I'm so anxious to get rid of all this swelling. My toes have turned red and hurt really bad. He told me that in areas like the fingers and toes they are such small areas and when the tissue in them fill up with fluid it has no where to go and starts pressing on the nerves. It's all just a vicious cycle and I would like off of this cycle, please!! I have a very nice camera but there is a flaw in it. The lens is right next to the flash and the red eye on this camera is just terrible. I have to spend about a half hour on each photo to get rid of the red eye. It is so red that most red eye removal programs won't remove it. I have decided to get a new camera and have spent the whole day looking and searching on the internet for the best rated camera for the functions I want. I had one camera picked out ...the Canon A640 and right before I was ready to buy it I read some of the forums about the camera and one of the problems is red eye. So, that one is out!! The one I really want is the Canon Digital Rebal XTi but it's about $200 out of my price range. On to the search!! Kristi just called to tell me that Jacob had a 1st today. He always goes to the nursery during their church service. Today he got to go to the big people's service. They went to the contemporary service with a band and she said Jacob loved it. He was singing, raising his hands in the air like the people around him and dancing. He got a little carried away and fell and kristi picked him up and kept on singing. Three people came up behind her to tell her that Jacob's mouth was bleeding. Needless to say...that was the end of the church service for today. I may not have quoted it exactly but that's the basic concept. I don't even remember...is it in the Bible or just something our parents told us to keep us on the straight and narrow path? Thursday afternoon my sins found me out. I needed to run some errands and Tyler wanted to come with me. I think he had a plan up his sleeve for a new toy but that's okay..I like being with him. One of our stops was at the Hallmark Store to get my favorite soy candles. I don't even like it now without always having one of those burning all the time. I used to use the cheap WalMart brand and then one day I saw the most beautiful candle of all...not really but it sure did smell good. Well, I digressed talking about my candle. I have been trying to diet most of this week. I consider it a life change and there's just a few things I won't eat anymore...that simple. On the counter of the Hallmark Store they keep a nice big container of home made caramels. They are SO good. I couldn't resist them and bought three...because they're 3 for $1.00. I thought Tyler might like some anyway. But I learned that he doesn't like those. Too bad! I'd have to eat all 3. I started eating one as soon as I got in the car. Then we had to stop at KMart and I had to open the trunk and get my 2nd one. 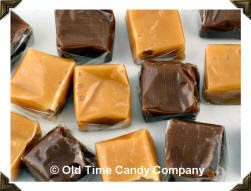 I didn't even make it out of the KMart parking lot when I felt something big and hard inside the caramel. It was my crown with the tooth and the post all inside the crown. I told Tyler that I had to go right to the dentist and see what I needed to do. I was scared to death. I couldn't believe my tooth came out with it. All the way to the dentist Tyler talked about his visit to the dentist. I kept thinking I wish this was my first visit and my teeth just needed cleaned. Then Tyler had a bright idea...he said..."Becky, why don't you just grow more teeth?" Oh, if it were just that simple. I had to explain to him that he would lose his teeth and more would come in but that would be all he would get. You don't get your 3rd or 4th set of teeth. Although that would be nice. The rest of the way he kept telling me that the dentist said one of his teeth is a little loose. I had to chuckle...it's his only experience with the dentist and he was trying to relate to me. How sweet! I know he could see I was upset and I tried to hide it but inside I was a nervous wreck. Well, the dentist looked at the situation and said that since there was no tooth left to work with he would have to do a bridge. I didn't even know what a bridge was but he explained it to me. I felt so much better. Since I've had a root canal in that tooth all I have to do is keep the area clean. Tyler was so good at the dentist office. Even though I was tired and had a little headache we went home to my house and we played with his favorite new toys...the Lego Bionicles. He has kind of transferred now from the Transformers to the Bionicles. He has a whole pile of the bionicles and I get all of them except one. He gets the biggest and newest one every time and his one bionicle always beats all my bionicles. I don't mind letting him win thought. I figure it's a good way to build a little self esteem. So...I thought no one would have to know I went off my diet a little yesterday and here I had to end up telling everyone about my tooth. There's always tomorrow for the diet and that is the life change I face. If I go off the bandwagon I need to just get right back on! I've gone through quite an interesting 2 days. I have been on and off the prednisone and for very good reasons...at leat in my mind they were. I went off of it right around Christmas and that's when I swelled up so bad and ended up going to the ER. It wasn't too many days after that when all my joints started to hurt again. My knees and fingers were the worst. I decided I would go back on the prednisone until I saw the rheumatologist on January 9th. After abpit 10 days (or maybe 7??) of no sleep and appetite out of control especially for sweets I decided I couldn't stand another night with no sleep and I went off the prednisone again. That was Sunday morning (12-31) and the last two days have been pure misery. I slept the very first night and then last night I slept from midnight till 5:30. That's a record!!! But, my feet and whole body swelled up something terrible and I've been in pure misery. This morning is the first time I can see that the swelling might be going down just a little big. Every time I sat down yesterday...whether at the computer or in my recliner I would fall asleep. I think that was from lack of sleep for so many nights. I did notice that the knee pain started to return last night. And, this morning I woke up with muscle spasms in my back from sleeping in one position for so long. But, I'll take these symptoms compared to not sleeping. 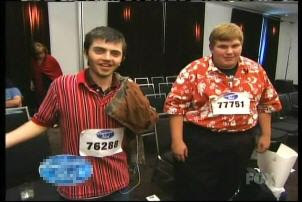 Is anyone else watching American Idol Rewind? They are showing the first season again but all they have shown for about 3 months now is the auditions. I wonder if they will ever move on from there. I keep watching and hoping they will move past the Hollywood week and into the actual TV time of singing solo. Season 1 is the only season I didn't follow. I got in on the last 2 weeks of it. Only 13 days till Season 6 of American Idol starts. What a great time of year to do this. January is blah, cold and in Indiana many times gray outside so this is really something I look forward to in January!! I wonder who will catch my eye this year?